In order to register at Unisa, you will first have to apply and get confirmation that your application is successful. Registration for the second semester for the year 2018 is from 11 June 2018 to 13 July 2018. The second-semester registrations have not yet opened. You can register between 11 June 2018 and 13 July 2018. Unisa Applications have closed on 26 April 2018. 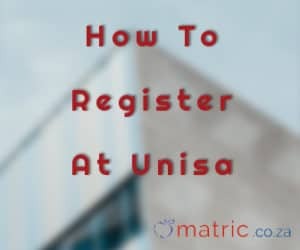 Follow the steps below on how to register at Unisa. Registration happens after your application to study with Unisa has been accepted. You will receive an email to confirm the success of your application. Your confirmation email will include your student number which you will use when you when registering. Unisa has a specific registration period in which you are allowed to register for the academic year. If you do not register in the registration period, your registration will be considered unsuccessful. As stated before, the registration dates for the second-semester will open on 11 June 2018 and will close on 13 July 2018. Once you know when you can register, follow these steps to register online. You will first have to go to the Unisa website and click on the “Admissions” tab at the top of the page. Once you have done that you will then click on “Register to study”. Decide on the type of qualification you would like to study, for example, “Undergraduate and honours qualifications”. Here you will have to click on the blue tab which says “View the process”. This is where you find the qualification you would like to register for. You can search for your qualification in the search bar provided or under the different headings and tabs further down the page. In this step, you will have to choose your modules. The tabs “Click here for the full curriculum of this qualification” and “Click here for subject & module information” will help you decide on which modules you would like to study. Once you have chosen your modules you will click on the “Once you have selected your modules, proceed to calculating your student fees” tab at the bottom of the page. Click the third tab, right on top – “Complete and submit your registration”. Now you have to select the method in which you will register. Now you will click on the fourth tab right on top which says “Pay your study fees”. Click on the “payment methods” button to help you understand which payment method you will use. Once you have made payment you can click on the “What to do after you’ve completed the registration process” button right at the bottom of the page. It is suggested that you register yourself on Unisa’s online student portal: myUnisa while waiting for confirmation of your registration. What Courses Can You Study Without a Matric Certificate? Not everyone gets to finish Matric, and not everyone knows that they can further their studies without a Matric Certificate. 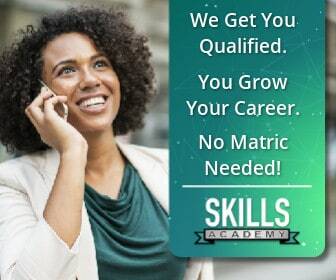 The buttons shown below will lead you to distance learning courses that give you a chance at having a good career without needing a Matric certificate. Potential Unisa students are not always sure how to register. Find out more about the questions that students ask. Can I Transfer From a Different University to Unisa? Yes, you most definitely can. Please note that Unisa will not accept your application if you have been suspended or expelled from your previous/current university. Can you Register for Both at the Same Time? You can only register for both institutes at the same time if you have received written permission from your current university, allowing you to also study at Unisa. You need to submit the written permission to Unisa when you apply and register to study. Does Unisa Recognise Previous Education? Yes they do recognise previous higher education, whether it was formal (diploma or degree) or informal (community work, knowledge or skills needed during your practical work experience). You can read more about it here. What to do About Qualifications That Require Practical Work Experience? Some Unisa courses require you to do practical work. You need to make sure you know which modules in your course need this. It could be named “work-integrated learning” (WIL) modules. If you find it difficult to get a learning provider, you can contact your academic department to help you. How Much Money Will you Lose if you Cancel Your Modules After Registration? If you cancel in the first-semester, before 15 March, you will only lose the minimum amount paid. If you cancel after 15 March, you will lose the full amount. The same applies to the second semester in which the deadline is 15 August. I lost my Student Number, how do I get it Back? All you need to do is follow this link and follow the instructions. Why not Join a Unisa Facebook Group to get the Latest Information? Join one of the Unisa Facebook Groups to stay up to date with the latest application and registration dates.